Aaron Kwok held his “De Show Reel” world tour concert series in Taiwan from Dec 12-14. Idy Chan was one of the many artists and other multi-entertainers came to show their support for the Heavenly King. Idy said “Aaron is a very hard working artist, and I came to see his shows because I can’t dance but he can dance beautifully.” Read more here. Taiwan producer Xie Naibiao 謝迺彪 has obtained the copyright for the adaptation of Su Tong’s “Wives and Concubines” or better known as “Raise the Red Lantern” or “Red Lanterns Hanging High” (RLHH). The rumor that Idy Chan is invited to play the Third Mistress. Idy expressed great interest in the role. “RLHH” was once created into a movie by acclaimed director Zhang Yimou with the leading lady Gong Li. 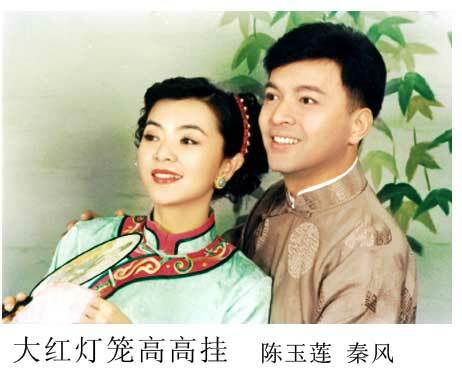 16 years ago, director Xie created the TV version with the leading pair Idy Chan and Qin Feng. Earlier mainland TV has decided to do the remake and Xie was asked to be consultant. He then flew to Nanjing and signed the adaptation copyright contract for this Su Tong work. Xie had been working with Idy in HK and Taiwan in the past, last year he went to Canada to convince Idy to resurface, and intended to have her in “Pledging of the Wind (lit.) 風中的承諾” TV series, and Idy’s role would be Big Triad Sister. However, the plan failed because China Broadcasting Bureau denied the “black theme”, so this time they can cooperate again with the remake of “RLHH”.